A snippet of Jonas Brothers' anticipated new song "Meet You in Paris" has made its round onto the web. The short preview was originally teased during the Sunday, September 30 episode of Kevin Jonas' E! reality show "Married to Jonas", where Kevin and his younger brothers Joe Jonas and Nick Jonas were seen spending their time in the studio to record the track. Offering mid-tempo beats, the easy-listening pop song has lyrics that say, "I'll meet you in Paris/ Somewhere in dreamland come to light/ That smile you're wearing/ Keeps me believing, keeps me alive/ We'll be the kings and queens of our broken scene/ I'll meet you in Paris." It is still unclear whether the track will be the trio's first single off their upcoming album or not. 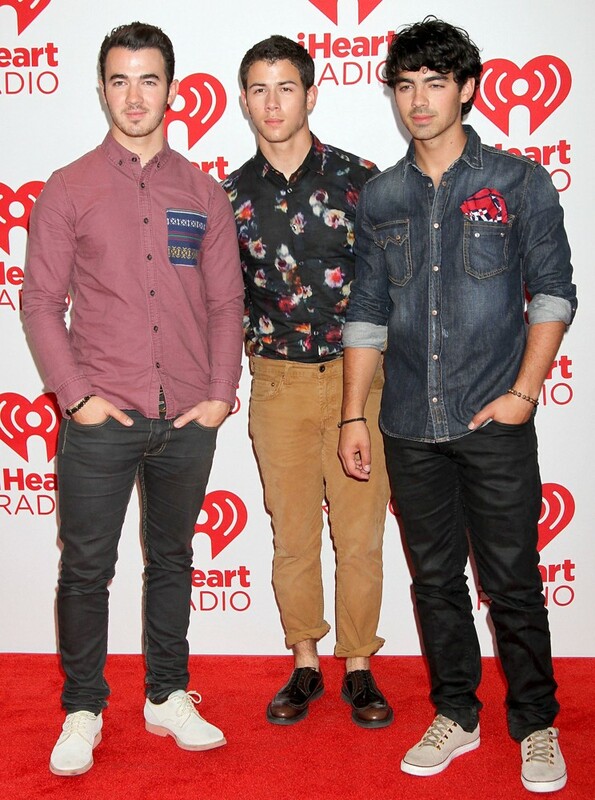 Kevin, Joe and Nick have been working hard to record their first album since 2009's "Lines, Vines and Trying Times". The oldest of the JoBro admitted that he felt the pressure during the making of the new studio set, stating, "Playing music is what makes me who I am. If I'm not great and if this album's not great, what does that say about us?" The band recently promised that their new track would be dropped "as soon as possible." Joe said to MTV News at the iHeart Radio Music Festival in Las Vegas that the song would be revealed during their upcoming performance at Radio City in New York on October 11. "Yeah, we want to do it really quickly," he said. "Luckily, we're in a position where we get to decide if we wanted to do it tonight, but I think we're kind of lining it up to our show we have at Radio City coming up very soon, so it should be around that time." Explaining the theme of their new single, Nick gushed, "It's a little bit of a, especially for us to describe it, it's something that people can dance to that also puts them in a place, brings them to a certain atmosphere, gives them a vibe about the seasons that we've been through these last three years in sort of doing our own thing."